VISASEU nationals are not required to obtain residence permits to live and work in Greece. However, EU nationals who intend to reside and work in Greece for more than three months must obtain a European Citizen Residence Card. This card, which may not be denied to EU nationals, is granted for an indefinite time period by the appropriate Police Department (Alien Bureau). Non-EU nationals must obtain a residence permit Greek law provides for specific types of residence permits for non -EU nationals, which provide access to employment in Greece. Consequently, a non-EU national does not need to obtain a separate work permit apart from the residence permit. Residence permits are usually valid for one year and are renewable. Several organizations administer the state social security system in Greece. In general, employed persons must participate in the Social Insurance Institute (IKA), which is financed by employer and employee contributions. Its benefits include pensions, medical expenses and long-term disability payments. Several other insurance organizations cover self-employed persons, depending on their trade or profession. Contributions. Social security contributions are made by employers and employees based on a percentage of the employee's monthly salary. The social security rates are set at 16.5% for employees and 27.46% for employers, up to a maximum monthly ceiling of €5,543.55. Contributions are paid 14 times per year to coincide with Greece's 14-month pay system. Different rates apply for hazardous occupations. The percentages for monthly contributions and the ceiling on overall contributions are revised from time to time (usually annually). 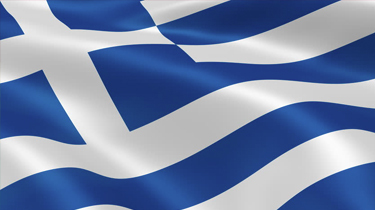 Thinking of contracting in Greece?